Easier than getting teeth cleaned. No needles, no scalpels...the way to go! Far better than traditional procedure. Procedure was over before I knew it. Wow! I did not feel anything! Great place to get the procedure done. No need to be nervous...it was easy! Dr. Pugach did an amazing job...no pain! Quick & easy. Good experience. Do it for yourself, do it for your wife! Dr. P came highly recommended. Was much easier than I expected. Eight months post vasectomy...go for it! Was initially nervous - I barely felt anything. Very happy. Vasectomy went well. Safest procedure when your family is complete. Procedure was painless and quick. Virtual Consult - I wanted the best urologist. Former MLB Player discusses his vasectomy. The vasectomy was quick & painless. It was easy, quick & lots of laughs! Painless, quick and no problem whatsoever. Very easy and fast procedure. Had my vasectomy during my vacation. Selecting a vasectomy is a 'no-brainer'. 10 minutes later, I feel great! Anxious about procedure. Went very smoothly. Wish I'd done it sooner. Easy! Staff and Doctor are great. I didn't feel any pain whatsoever. I was watching golf the whole time. 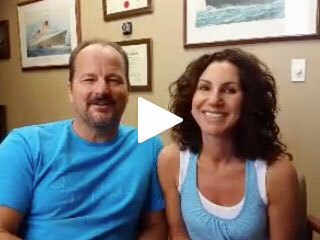 Click here to read written patient testimonials. Still not convinced? Ask Dr. Robert Pugach about his personal experience!